Many older adults often experience incontinence, which can impact the surrounding skin. Being able to care for an incontinent older adult appropriately also includes managing and preventing impact on the surrounding skin. (This session is intended for PCAs and AINs). Excellent, thorough overview with very useful information.It was quite detailed and the presenter was engaging and informative. The presentation was presented at a good pace with the presenter displaying a very good knowledge of the topic being discussed. The interaction with the audience was also effective in keeping them engaged. 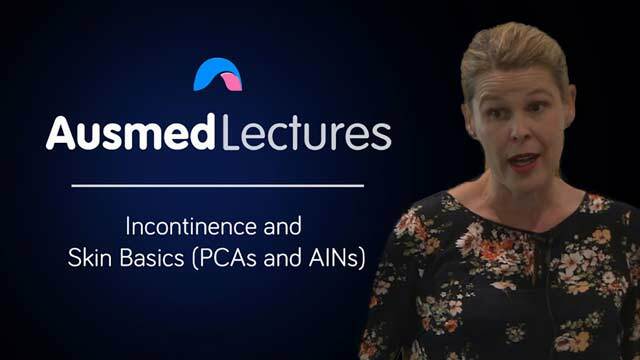 Ii found the lecture interesting i have to say im not as involved with as much direct patient care/ hygiene at this stage of my carer so its good to update with some basics again. It was engaging and informative.